Thank you to everyone that entered. Please keep checking back on more giveaways to come. It’s that time. 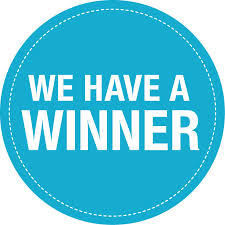 Drum roll please………..Congrats Laura Jacobson you have won. I will email you. You have 24 hours to respond or a new winner will be chosen. Thanks Again for entering and enjoy. Previous Post Giveaway with Food Should Taste Good!